Langar-based Gemma Sheppard is renowned for her stylistic talents when it comes to making sure the likes of Sharon Osbourne, Tulisa Contostavlos and boy band Blue look bang on trend. 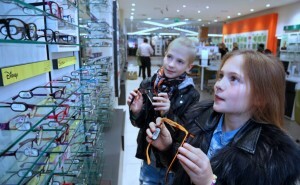 And now, she has been re-signed to lend her style know-how to customers and teams at optician Vision Express. Enlisted to help support Vision Express’ Exclusive Brands in-house collection – which aims to help Britons take eye health and style seriously with a high quality, value for money alternative to designer glasses – Gemma will work closely with Vision Express’ in-house team to style frames to excite and empower the retailers’ customer-base. 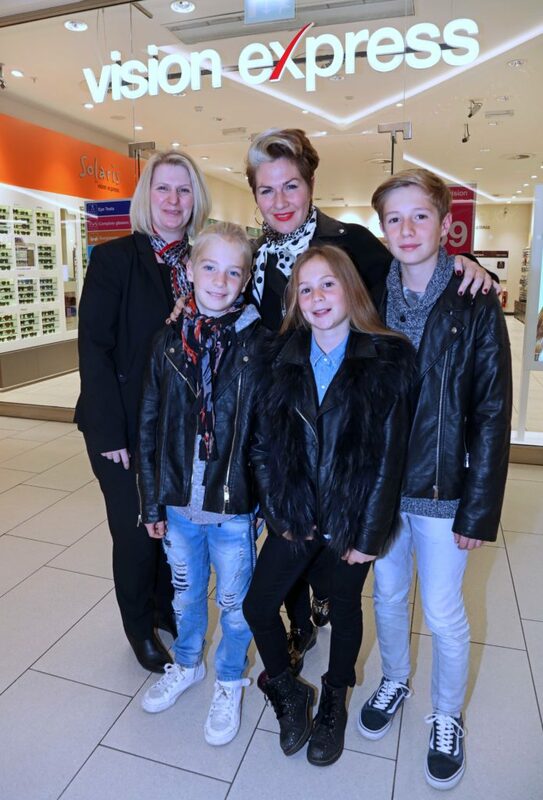 Gemma and her three children, Otto, Asa and Tallulah, recently visited Vision Express at the Victoria Shopping Centre for their annual eye test. During her visit Gemma commented on her role and the importance of maintaining her family’s eye health: “I’m delighted to be ambassador and style director for Vision Express throughout 2017. You only get one set of eyes and it’s so important to take care of them – especially at a young age when any issues can usually be corrected with the right prescription – that’s why I make sure every year we come ‘en-masse’ to have our eyes checked. 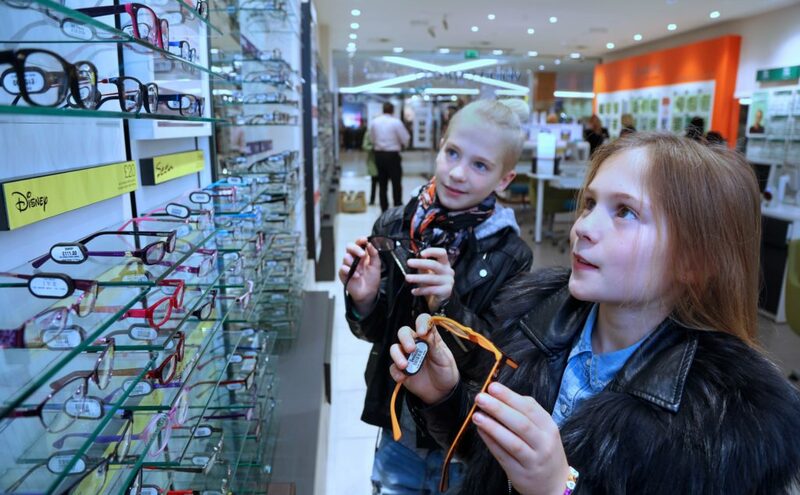 “The joy of Vision Express is they make the process effortless and always explain everything to the kids, so in turn they love visiting the store – especially when it comes to them selecting new on-trend frames. The great news for us is that my children’s eyesight has improved year on year and through annual monitoring and regular, thorough check-ups, it is almost certain within a few years both Otto and Tallulah will no longer need to wear glasses. Gemma maintains that glasses have become a fashion must-have, which means styles have developed to suit everyone from toddler to grandma. To celebrate her 2017 season at Vision Express, Gemma has provided some tips which cover general style trends and celeb looks which make being fashion forward affordable – a nice point of reference for people when choosing their next pair of frames. Dark tones are the leading trend for 2017 with a huge salute to tortoiseshell, a subtle twist on classic dark frames. Tonal colours look good on most people and tortoiseshell textures reflect the light and can be a great alternative to block colours – check out Meghan Markle in Suits or Emma Stone’s latest pair. For a bolder look in the cold months, red frames are a key favourite – I really like rocking this look when I’m back in the UK and seeing my celebrity clients – remember that glasses are wonderful accessories for styling up a seasonal look. One of my all-time favourite returns is the metal wire frame; these are being worn by the likes of Kendall Jenner and Zayn Malik opting for large metal framed glasses. It is really important to match your skin tone to your glasses here – golds, bronzes look great on warm skin tones while cooler skin tones should look for steely colours like blue, jade, silver and amethyst. Silver foxes and grey haired girls should snap up rich colours like pewter and metal – take Helen Mirren as inspiration. As we enter spring the colour lifts and so does the frame and the fashion must have becomes the neutral and intact clear frames making them the perfect summer style! Check out actress Emily Ratajkoswki sporting hers.